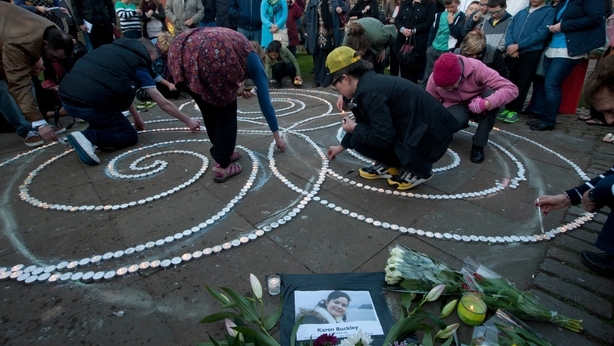 One thousand candles were lit as neighbours gathered to be part of a silent vigil for Karen Buckley, close to where the Cork student lived in Glasgow. 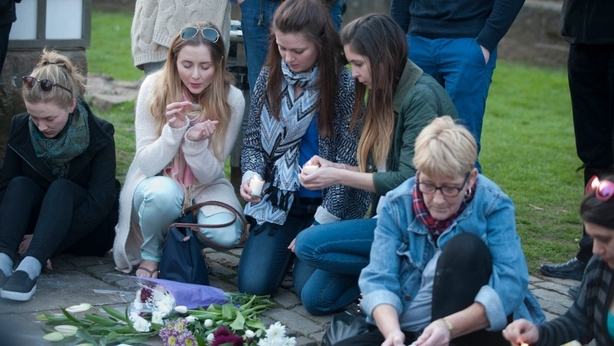 Residents of the Garnethill area gathered to remember the 24-year-old, whose body was found at a farm north of the city four days after she went missing on a night out. Around 120 people attended the vigil last night where they lit candles which were arranged to make a Celtic symbol. Organiser Jane Sutherland, chairwoman of the community council, said: "It's a wee close-knit community up here, although it's quite a transient population with the students. "It's a small community and the news of this young girl going out on a Saturday night and then never coming back is just unbearably sad. "This is just a moment for the neighbourhood to come together. Since she went missing nobody has talked of anything else. "Words fail me - that's why we wanted to do a wee silent candlelit vigil - 1,000 points of light for the one point of light that went out." She added: "I did not personally have the pleasure of knowing Karen but I know folks who knew her. Our profound condolences are with her mum and dad, her brothers and extended family." A major police search was launched when the Glasgow Caledonian University (GCU) student vanished after a night out last weekend. Her body was found at High Craigton Farm on the north-western outskirts of the city following a four-day search. Alexander Pacteau has appeared in court charged with Miss Buckley's murder. The 21-year-old is also accused of attempting to defeat the ends of justice. He made no plea during a private hearing at Glasgow Sheriff Court on Friday and was remanded in custody. 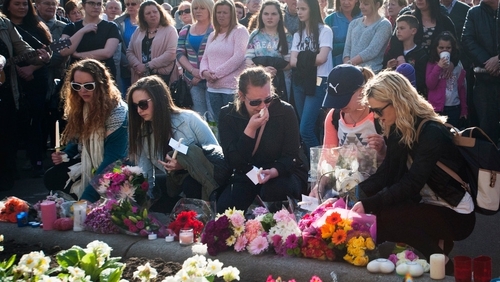 The memorial event, held in a park off Hill Street where Miss Buckley was living, follows a vigil held in the city's George Square on Friday evening which around 300 people, including Ms Buckley’s parents and two of her brothers, attended.